Nearly one quarter of all the servers running in Microsoft’s Azure cloud service are powered by the open source operating system Linux. But you can’t actually run much Microsoft software on those Linux servers. That’s about to change. 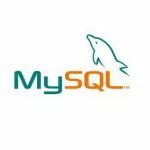 Companies will soon be able to run Microsoft’s database software SQL Server on Linux, Microsoft’s Scott Guthrie said in a blog post today. Or at least part of it. A spokesperson clarified that Microsoft will offer at least SQL Server’s core capabilities. Other components will depends on customer demand and feedback. Microsoft isn’t open sourcing SQL Server’s code, but making it run-able on Linux is a big change for the company. Microsoft has long offered a Mac version of its Office suite and has recently released versions for Android and iOS. Other than that, however, you generally need to run Windows if you want to use Microsoft software. Few Microsoft applications run on Linux today, and those that do were acquired from other companies, such as Skype, Revolution R Enterprise, and Wunderlist. But Microsoft has been warming to the idea of supporting software on other platforms. Just last month the company announced plans to acquire Xamarin, a company that develops a cross-platform version of Microsoft’s popular .NET programming framework—a tool that enables developers to use Microsoft’s C# programming language to build applications that run on Linux and Apple’s operating systems, not just Windows. 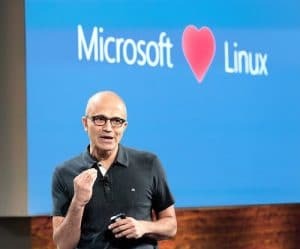 Microsoft’s newfound love for Linux was a long time coming. Back in 2001, former CEO Steve Ballmer famously called Linux a “cancer.” In 2007, Microsoft threatened to sue Linux companies such as Red Hat for patent infringement. But over the years, as open source won over not just hackers but corporations and governments as well, Microsoft changed its tune. It partnered with Red Hat in 2009 to ensure compatibility between the two company’s products. In 2012, it announced support for Linux on Azure and now even uses the operating system to actuallyrun the cloud service. But for years, Microsoft’s main forays into open source were focused on bringing open source software that already ran on Linux to Windows, such as the data crunching platform Hadoop, the programming platform Node.js and the code management tool Git. 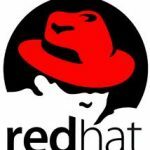 Enabling users to run SQL Server on Linux, even if it isn’t open sourcing the underlying software, is another step in this new direction. Whether users actually want to run SQL Server on Linux is another question entirely. Oracle’s flagship database software is still far more popular than Microsoft’s, and open source alternatives like MySQL and PostgreSQL are already enormously popular on Linux. But it is possible that more companies would pay for Microsoft SQL Server licenses if they could run it on Linux, thus avoiding having to pay for both a Windows Server license and a SQL Server license. That might end up being a wash for Microsoft’s bottom line. But more openness to open source could ultimately mean more techies are open to Microsoft. Will 2015 be the year of the Microsoft/Linux love fest?